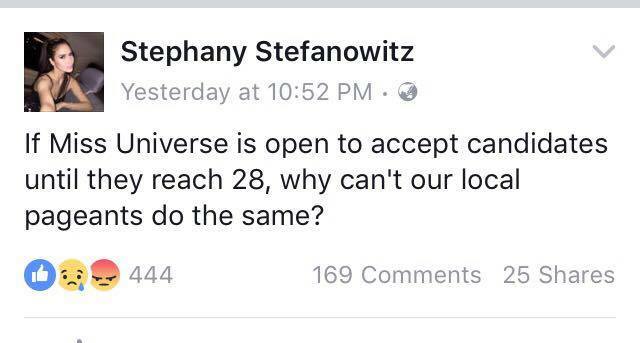 If Miss Universe is open to accept candidates until they reach 28, why can't our local pageants do the same? 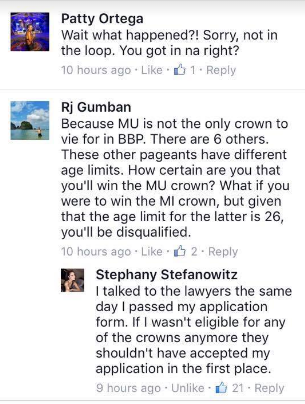 The Binibini hopeful Stephany has been ruled "ineligible" from the competition due to overage. 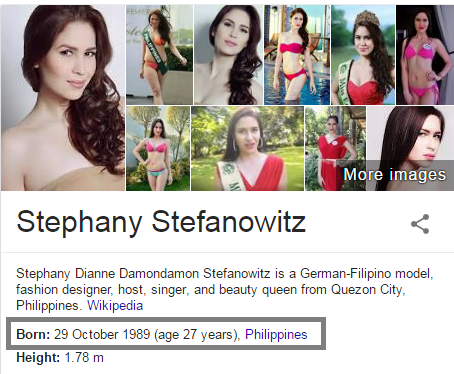 The age requirement to qualify for the Binibining Pilipinas pageant is that the Applicant should be from 17 to 26 years of age at the time of the pageant. This Kagandahang Flores stunner is 27 years old and turning 28th in October. Under the management of WME/IMG, Miss Universe Organization has increased in the age limit of contestants from 27 to 28.